Yep, lots still going on. Keep looking this week. 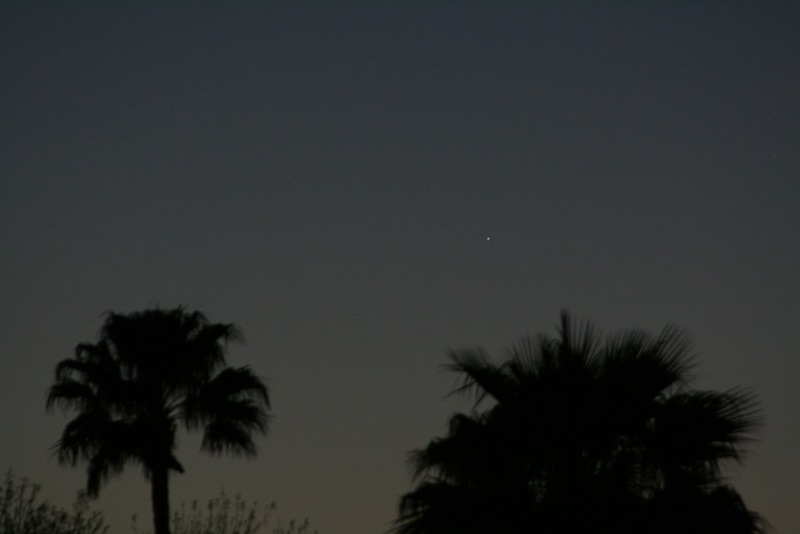 First, Mercury is still visible but getting more difficult to see. Got it tonight. Had to use binoculars at first but found it naked eye eventually. Got a nice shot of it above a palm tree. 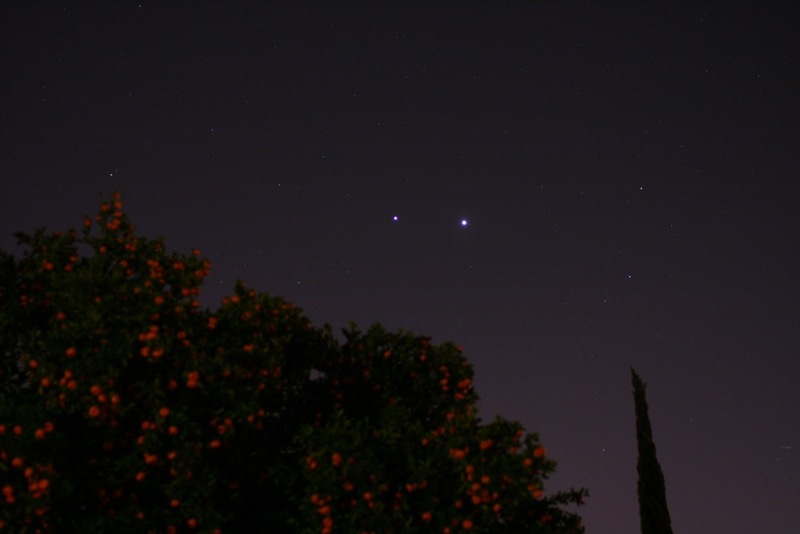 Of course the main event is Venus and Jupiter. I went out a little later tonight and they are drifting farther north so I positioned myself a little differently in my townhome courtyard tonight to get the pic. Yep, that’s an orange tree! The oranges are not ripe yet, still pretty small but I thought they made an interesting foreground for the pic! Keep looking the next few nights. Tonight is technically the closest approach, but March 15th is the date of the actual conjunction (a fancy astronomy term meaning they have the same right ascension. Right ascension is kind of like longitude but in the sky).